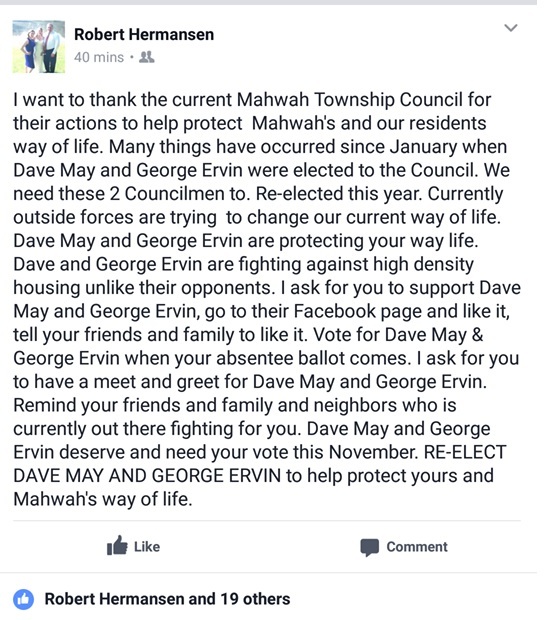 Announcing the nine count State Lawsuit against the township of Mahwah, then Attorney General Porrino said, “Our message to those public officials in Mahwah who are leading or following this misguided charge is meant to be loud and clear: We intend to hold you accountable.” However, as of this writing, the township council has shown that it remains unwilling to recognize their pivotal role in inflaming the hateful environment which led to discriminatory ordinances. 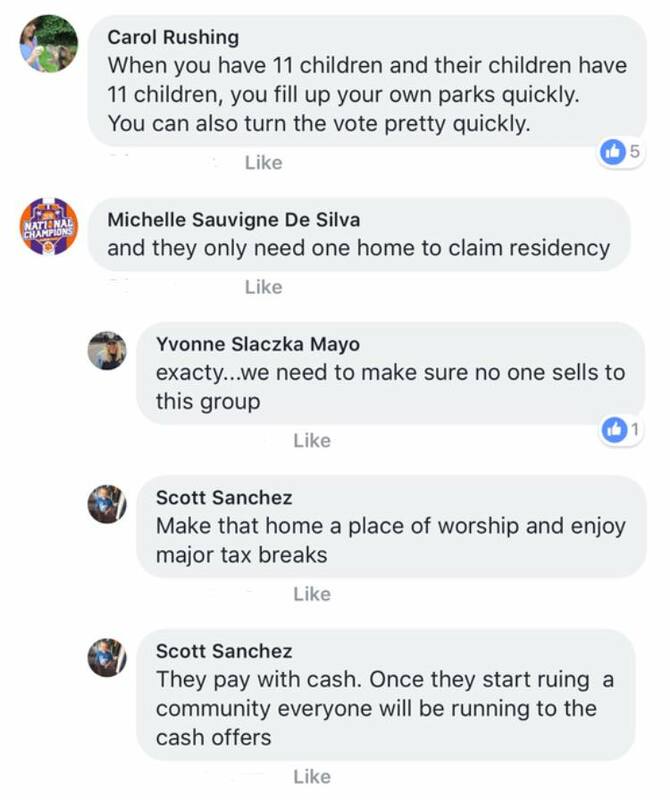 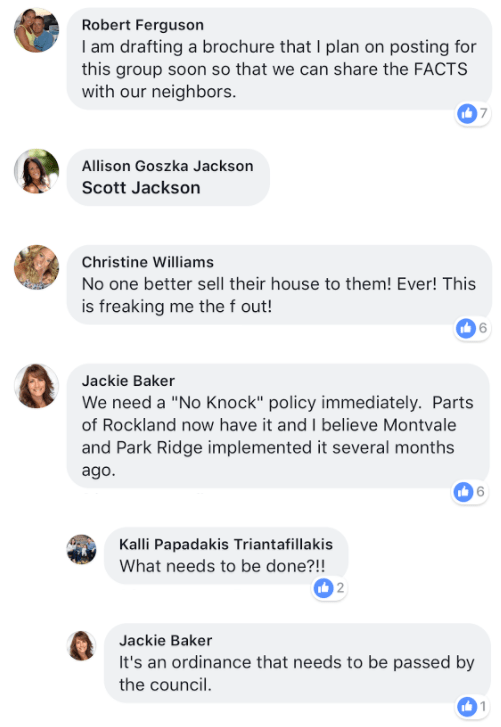 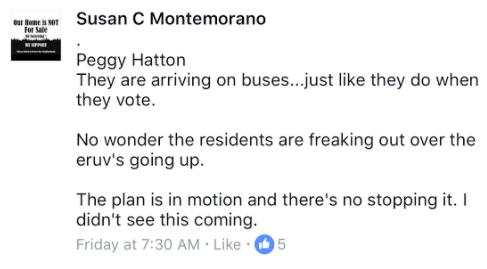 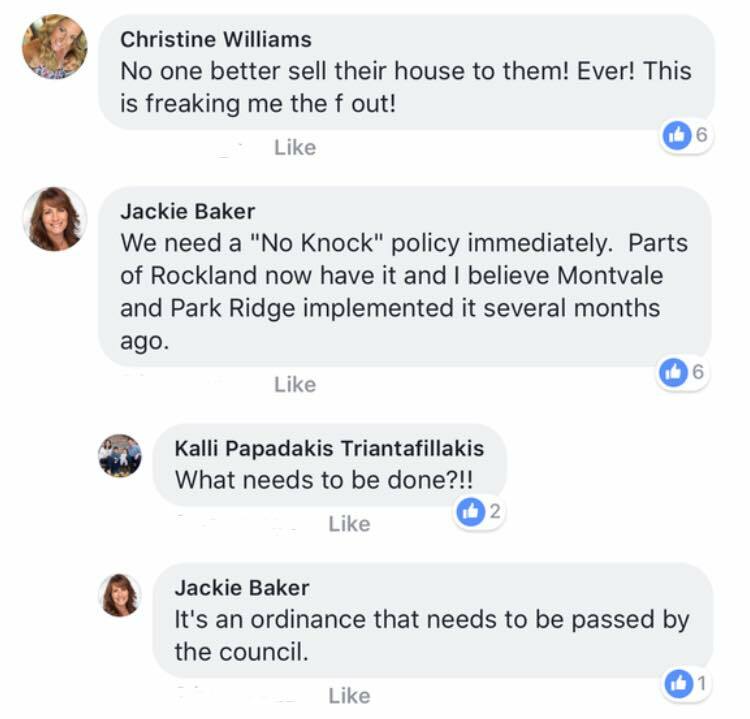 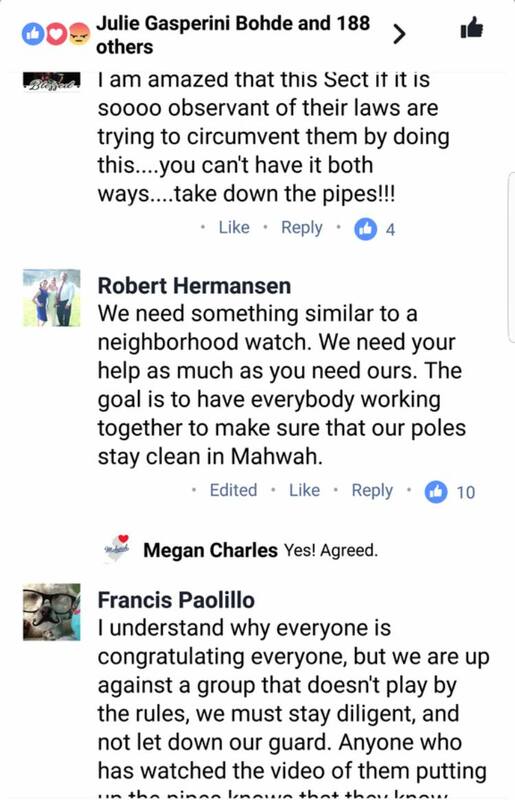 Although the Parks Ordinance was rescinded and the Sign (Eruv) Ordinance tabled, the hateful environment continues in Mahwah. 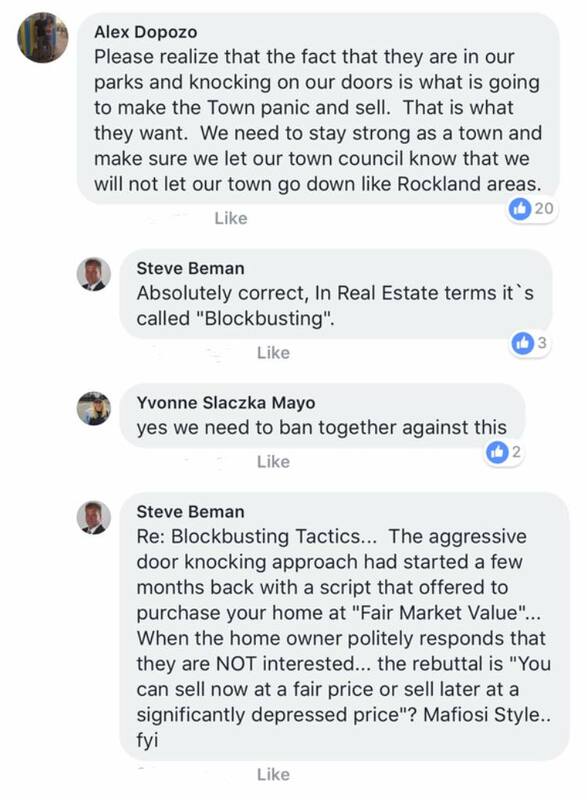 Council President Hermansen and Councilman David May continue to participate in online forums and refuse to call out blatantly anti semitic language from their constituents. 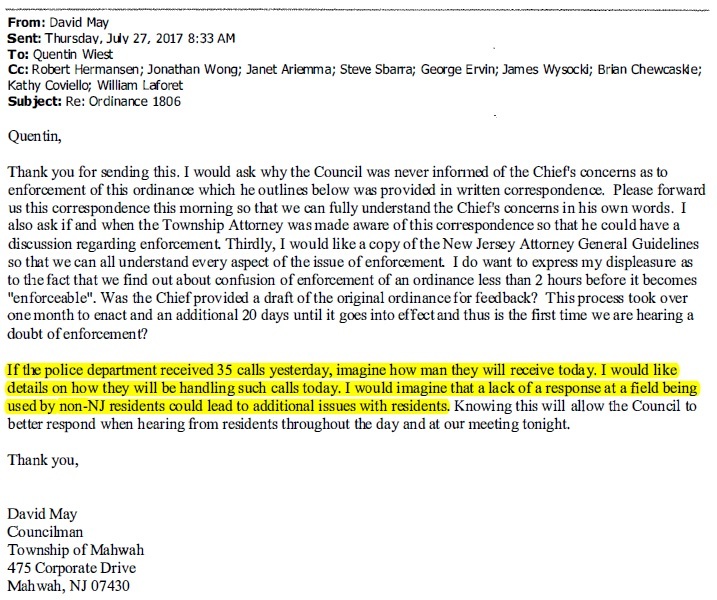 Mr. May even mockingly presented the concept of a full Bergen County eruv to the county freeholders. 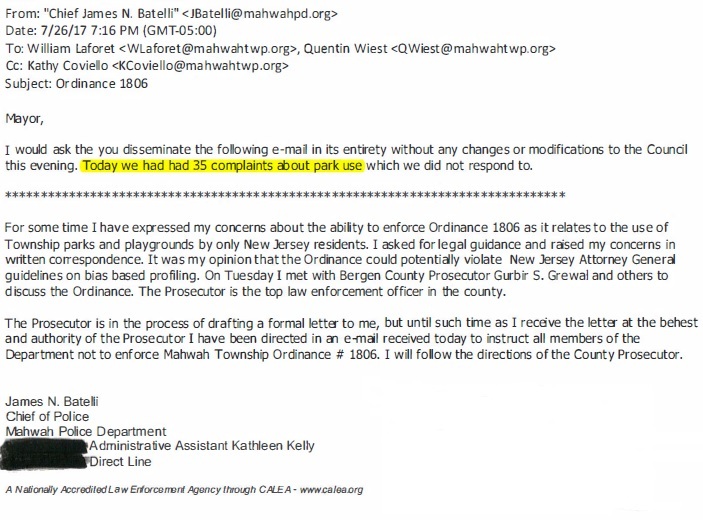 The display of contempt is unmistakable. 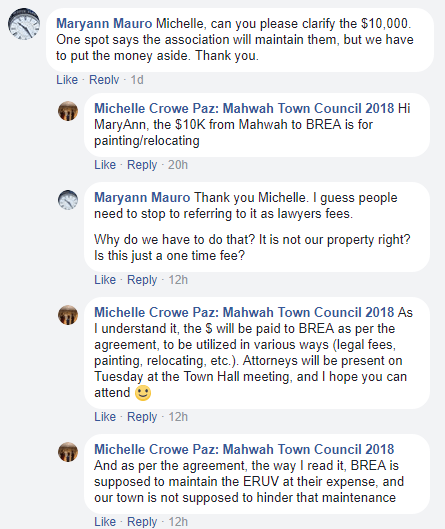 This stance was made clear by the Mahwah Township attorney, Brian Chewcaskie at the 12/14/17 meeting (see video). 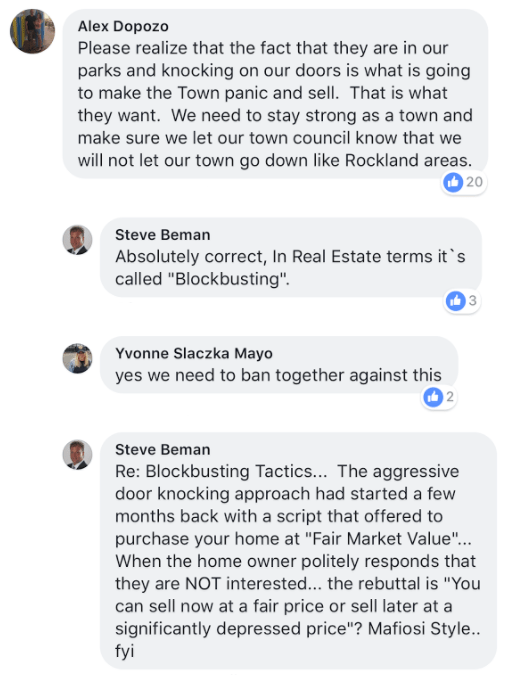 He described the ordinance undoing the Parks Ban and the Resolution (424-17) to table the Sign Ordinance as just a “strategic move” and does not address the offensive behavior or environment that led to the State of N.J. initiating a lawsuit and condemning the civil rights violations in Mahwah. 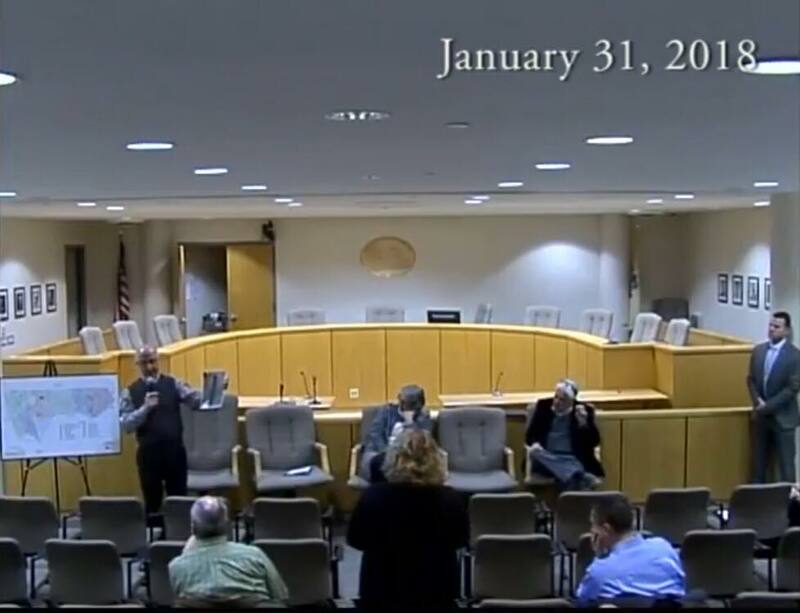 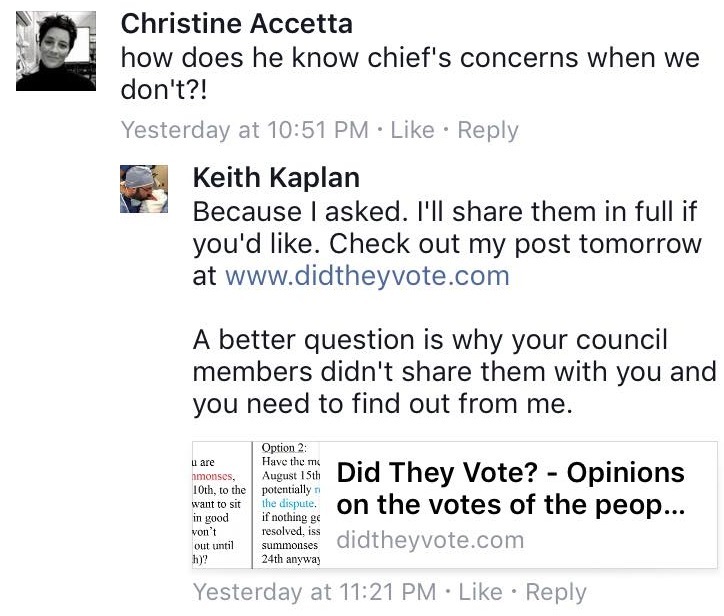 Finally, when Keith Kaplan, at the January 9, 2018 Council meeting ( see video) asks Council President Robert Hermansen if the Council will renew the resolution in 2018 stating that the Council will not reenact Ordinance 1812 (Sign Ordinance), Robert Hermansen becomes argumentative and refuses to answer. 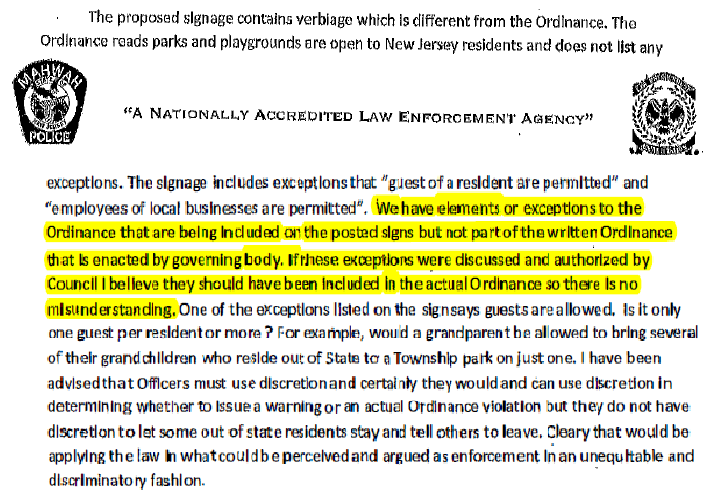 The Parks and Sign Ordinances were enacted in a hateful environment that was permitted and at times encouraged by the council. 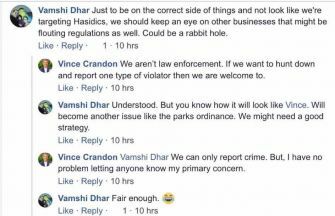 Rescinding the ordinances, without accepting responsibility and offering contrition, is unacceptable. 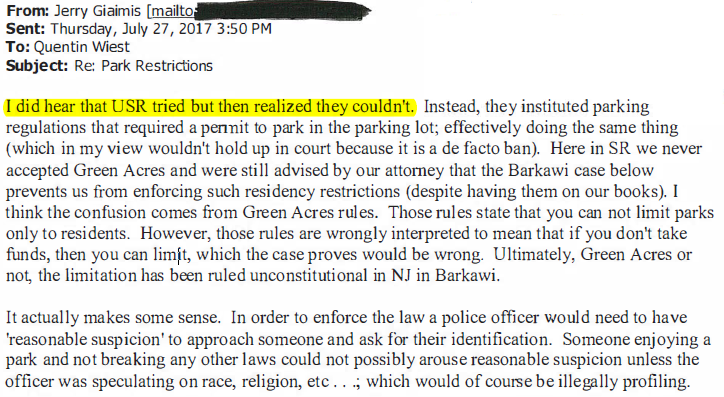 This leaves open the possibility that similar ordinances may be enacted in the future when attention is shifted away from Mahwah.